2010 aint 2010 till CNY! I must be that tired! I knocked out till 5pm last Sunday evening!!! All the lack of sleep accumulated since Xmas Marathon plus I didn’t expect to start 2010 with a blast too!! From NYE countdown with bud, to NY day surprise dinner makan + mahjong to 2nd Jan KTV – makan – ice cream fiesta… I started 2010 with a fantabulous string of events! With sooooo many overdue pics that I haven’t been editing and have only uploaded some to FB, I better get down to work. Just as I was talking about how fantastic my 2010 is, things started piling with number 1 on the list… my crib (cos I can’t sell you, now all my hopes are dashed), my sooooo not confirm trip (I need a date soon Miho), Mr Trumpet (good riddance, for my entertainment fees cost more), Mr ____ (to think I’ve always liked you depsite you being geow)… my 80 albums per month airline (I’m officially a translator), sigh. PLEASE, all I want is a BETTER 2010… or maybe things will start getting better after CNY?? 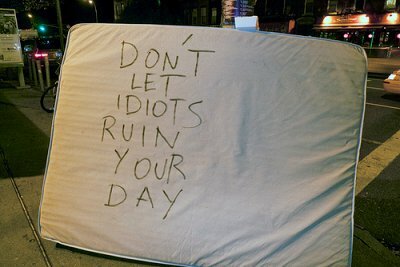 Yes, dont let idiots ruin ur day. They are not worth it afterall. Cheer up love! If i’m not so up to it, I shall get Mr Crapper to entertain u ok. heee…. Arghh!! How can some one be cuter than me??? Tell me!!!! SO irritating lor. Yupz. I will arrange for my crapper to entertain u for a 30days trial period. After which, it’s chargeable for curry chap chye & rice per session. LOL…. Noooooooooo!!!! Cannot beeeeeeeeeeeeeeeeeeee!!!! I refuse to accept this! LOL…. Sounds like a business idea leh… Can i be the shareholder too? Hohohoho…. this is the 1st time i see somebody who is as cute/ CUTER than u leh!!!!!! i cant believe it! whats freaky is that he is a MAN! a male version of u! OMG! huh… 30 days in a row then pls let it start later can cos now already 13th so quite lugi. totally! so what can u contribute to the business love? lets hear it. we’re talking about the cute gf having a cuter bf. I regret to inform that the 30 days trial commenced from the day liu lianssss were offered. Wahahahaha….